A decade or so ago, I joined a friend for a cruise to Newfoundland aboard his 47-foot cutter, Paloma. The passage lasted four months and afforded me an unforgettable plethora of experiences and photographic images. One of the more memorable components of that passage was the varied and extreme weather in those latitudes. Although we departed Long Island Sound in late May—shirtsleeve weather for that region—once we transited Massachusetts Bay, the thermometer seemed to have a hard time getting out of the 60s. By the time we reached Nova Scotia, a 50-degree day was considered a balmy godsend, and June in Newfoundland was sometimes reminiscent of November in New England. It rained or was foggy six days out of seven, and ice wasn’t an unusual sight. For several years after the passage, I would sometimes wake during the night, dreaming—it’s a nightmare, really—of a failed passage of Cabot Strait, the body of water that separates Nova Scotia from Newfoundland (and through which nearly all of the St. Lawrence Seaway’s marine traffic passes). Six hours out of Louisbourg, Nova Scotia, an unpredicted front—as they so often are in this climatically tumultuous region—swept down upon us, bringing 50-knot winds and torrents of bone-chilling rain and spray that lasted all through the afternoon and into the night. Ultimately, we were forced to turn and run before it, seeking shelter in the industrial port of Sydney, Nova Scotia. Although the images of that four-month passage, particularly the night spent in Cabot Strait, are firmly embedded in my memory, one other image in particular stands out. I was fortunate to sail aboard a vessel equipped with a diesel-fired heater. Coming off the watch that night in Cabot Strait and other watches and standing next to that cylindrical brass-and-stainless-steel heat source was salvation in itself—a feeling I shall never forget. And it never failed that wherever Paloma docked or anchored in Newfoundland during that passage, once the crews of other cruising vessels (granted, there weren’t many) in the anchorage discovered we had a diesel heater, they were soon aboard. Many cruisers are unprepared for Newfoundland’s “summer,” and thus, few of them had an adequate heat source other than their galley stoves and diesel engines. Some had been living in wet clothes and berths for days. Diesel certainly isn’t the only way to heat a cruising vessel. Reverse-cycle heat and air conditioning systems are de rigueur aboard nearly all new and many older trawlers. These systems, akin to shore-based heat pumps, work well in many scenarios and are capable of taking the chill off those fall passages. However, they suffer from two shortcomings. One, many users complain that blown air—particularly when it’s less than hot—often produces a certain chilling effect. Two, heat pumps are efficient only when the temperature of the water surrounding the vessel is above about 40 degrees Fahrenheit. Below that, the heat exchanging capability of the heat pump system is no longer effective, and the system rapidly loses efficiency and its ability to produce heat. If a vessel is already equipped with propane for the galley stove, one may wonder, why not use propane as a heat source? While propane, or LP gas, as it’s often known (not to be confused with CNG, compressed natural gas or “street gas”), is an ideal fuel with which to heat a shop or home, it, too,has its drawbacks. Not the least of these is its inefficiency compared to that of diesel fuel; pound for pound, diesel fuel is difficult to beat as a heat source. Diesel fuel offers nearly 140,000 Btu per gallon, compared to 91,000 Btu for propane. In my opinion, LP gas is peerless where cooking appliances are concerned. Many vessels use propane for cooking as well as heat, and in these roles it works well, but it’s simply not as Btu-abundant as diesel fuel. Additionally, the crew of a vessel heated with propane must, during any passage, concern them­selves with obtaining two types of fuel—one for heat and one for propulsion or power generation—a task that can be difficult in remote regions. (Few filling stations that carry LP gas are within walking distance of fuel docks; even if they were, who wants to lug 30 lb. of LP gas and a tank to and fro?) When used for cooking only, LP gas lasts an especially long time; thus, refilling becomes an occasional rather than a regular event. But when used for heat, that same tank is not nearly as long lived. Finally, storage, transport (through hoses, plumbing, and valves), and combustion of a compressed, heavier-than-air gas such as propane presents its own set of safety challenges. An LP gas leak is not a matter to be trifled with aboard any vessel. Diesel fuel, on the other hand, with its flash point of 140 degrees Fahrenheit, is especially safe. (Conversely, the flash point of LP gas is negative 156 degrees Fahrenheit, which means it is always flammable.) And while leaks cannot be ignored, a diesel leak does not present the same explosion hazard as does LP gas. Before continuing our discussion of diesel heat, two subjects are worthy of mention. The first is safety related and involves the formation of carbon monoxide, or CO, gas. Carbon monoxide is a colorless, odorless gas that is nearly the same density as air. (This means it doesn’t accumulate in bilges or vent through cabin hatches or ports; it moves around the cabin the same way air does.) The leading cause of poisoning in the United States, carbon monoxide is created whenever carbon-based fuels—diesel, gasoline, kerosene, propane, compressed natural gas, wood, and coal—are burned incompletely. Carbon monoxide interferes with red blood cells’ ability to transport oxygen throughout the body. In high concentrations, death can occur in just a few minutes. It is also vital that these detectors are installed in such a way that they cannot be inadvertently or intentionally turned off. My preference is to wire them directly to the load or output side of the house battery switch using an appropriately sized fuse. Wired in this manner, the CO detector will be active whenever the vessel’s house battery switch is in the on position. has its greatest density—39 degrees Fahrenheit (in metric terms, 1 Btu is equivalent to about 1055 joules). Don’t worry if you can’t wrap your brain around this definition; just keep it in mind when comparing one fuel or heating system to another. It’s an apples-to-apples sort of thing. Diesel-fired heating systems range from the simple, manually controlled “drip-pot” bulkhead-mounted heaters pioneered by Scandinavian fishermen to the sophisticated, electronically controlled, multizone hot-water (“hydronic”) systems that would rival those found in the most modern homes and offices. Bulkhead heaters are available in a number of sizes and styles from a score of manufacturers both here in the United States and abroad. A diesel bulkhead heater kept Paloma’s saloon toasty and dry through her wet, cold Newfoundland passage. Bulkhead heaters have the advantage of simplicity on their side. Depending on how they are installed, they may be rigged to operate without using any electricity at all. A “day tank” placed above the level of the heater will supply fuel without the need for a pump. If this isn’t practical, a small electric fuel pump can be used to supply the heater. In either case, these heaters offer the greatest bang for the buck: They are relatively inexpensive—most cost under $1,000—and, provided they are installed properly, they work exceptionally well. The average bulkhead heater produces between 6,000 and 15,000 Btu, and a few of the largest units are capable of producing an impressive 18,000 Btu. The drawback of this type of heater is that its output is centralized to the compartment in which it is installed, usually the main saloon. Leave this area and the cabin temperature can drop precipitously. Paloma’s saloon was warm and cozy, but when it came time for me to retire to my aft cabin, the temperature difference was considerable…and unwelcome. This temperature differential is especially noticeable because the temperature in the area where the heater is installed tends to be a little on the high side. It’s something like the feeling you get when you stand in front of a campfire for a while—your tent feels a little colder than it did before you warmed yourself by the fire’s glow. Strategically placed fans can go a long way toward mitigating this problem. Perhaps the greatest challenge faced by bulkhead-heater installations is the flue or exhaust. Because the flame in these heaters is passive, there’s typically no forced draft, which means they are especially sensitive to flue or chimney arrangements and back drafts. Many chimneys incorporate an elaborate anti-backdraft device known as a Charlie Noble. (The story behind the unusual name is that the device was invented by a ship’s cook named Charlie Noble, who was frustrated with his stove filling the galley with smoke and soot.) The device has to be strategically placed on deck so the heater’s exhaust doesn’t cause any heat or soot damage to surrounding gear or structures. Most manufacturers provide elaborate instructions to guide this installation—and with good reason. 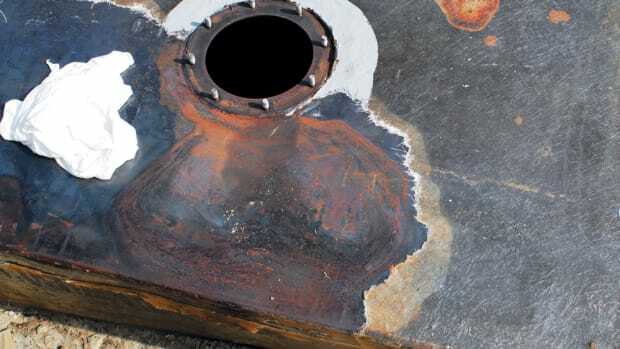 The exhaust temperature of a diesel heater can be in the region of 700 or 800 degrees Fahrenheit; if it’s placed too close to combustibles such as fiberglass, wood, or inflatable dinghy material, it will quickly cause damage and possibly lead to a fire. A few caveats are in order where bulkhead units are concerned. According to ABYC guidelines, a “sealed” combustion system is one in which the incoming air used for burning the fuel, the combustion chamber, and the exhaust by-products are sealed off from the vessel’s interior. This definition relegates most bulkhead heaters to the “non-sealed” category. While this is not a condemnation of their design or function, it must be borne in mind when installing and using this type of system. What is important about this classification is that ABYC guidelines require an oxygen-depletion sensor when a non-sealed system is used. This sensor, when properly installed, will shut off the diesel fuel supply to the heater if the ambient oxygen level (the oxygen level within the cabin or space where the heater is installed) falls below 95 percent of normal. The final ABYC guideline worthy of note where bulkhead units are concerned addresses the temperature of fixtures surrounding the heater. When the heater is operating, the temperature of the surface below and immediately surrounding vertical combustion surfaces must not rise more than 150 degrees Fahrenheit above the cabin’s ambient temperature. In many ways, the forced-air system is an easier concept for vessel owners and consumers to understand because it is much like the heating systems used in many homes and businesses. In simple terms—for both the marine and the shore-based versions—air is drawn from the space being heated (the cabin), usually through a filter of some sort, then passed through a chamber or heat exchanger that is heated—in this case with a forced-draft diesel-fired flame. (This is what gives these systems that turbine or “jet engine” noise.) The design and construction of this heat exchanger is critical; the cabin air and the exhaust by-products in the combustion chamber must never be allowed to mix. (This was a common problem on air-cooled automobile engines such as the old Volkswagen Beetle and the Corvair.) If they do, the heated air that is now destined for the vessel’s cabin will become contaminated with exhaust by-products, including the potentially lethal carbon monoxide. Most manufacturers of marine and domestic forced-air heating systems go to great lengths to prevent this from occurring, so the risk is no greater than that from gas- or oil-fired forced-air heating systems used in homes. In most cases, if a leak does occur, it’s the result of an installation error rather than a design or material flaw. Once the air is heated, it is then distributed throughout the vessel using metallic ducts that are typically 4 or 5 inches in diameter, making for a true central heating system. These ducts can be directed into each cabin, the head, the engine compartment, and the drying lockers, and onto the windshield. As mentioned above, for efficiency’s sake, the intake air should be drawn from the accommodation or cabin spaces rather than from outside the vessel. To prevent the possibility of introducing combustion by-products or exhaust gases into the cabin, this air must never be drawn from an engine compartment. If the intake air is ducted through an engine compartment, great care must be taken to ensure the intake ductwork is absolutely airtight. The output of the average forced-air system ranges from a low of 2,000–3,000 Btu in the smallest units to a high of 45,000 Btu in larger models. These systems, unlike bulkhead heaters, are not designed to operate continuously; they cycle on and off using an electronically controlled central thermostat, and they may be operated at varying output levels. While this is especially convenient, providing heat very much like that found in a modern home, it usually cannot be zoned. Therefore, while these systems typically work very well, the temperature in the saloon and galley—where the thermostat is located—may vary widely from that in the staterooms or head. Additionally, running 4- or 5-inch ducts throughout a vessel after it’s been built may be challenging. (Depending on the design, this may be true even while the vessel is under construction.) I’ve done this a number of times, and the process usually involves moving through the proposed duct runs using a plywood template of the duct cross section to determine routing feasibility. Once that process is complete, a hole or reciprocating saw can be used to cut a path for the various duct runs. Directional registers are typically installed at the terminus of each run, providing directable, warm, blown air at each location. An aquastat installed at each fan unit, optional on some systems and standard on others, prevents the fans from turning on—and blowing cold air—until hot water has reached each heater. If you recoil at that initial blast of cold air (and who doesn’t? ), then aquastats should be a prerequisite for any hydronic system. Hydronic heating systems as a whole are available in a range of output sizes, from 8,000 Btu to nearly 180,000 Btu. Hydronic systems can be found in vessels as small as 28 feet and routinely in vessels 40 feet and longer. Regardless of the type of diesel-fired heating system you use, considerable care and attention must be given to each unit’s exhaust system. As mentioned previously, the exhaust by-products of nearly all carbon-based fuels contain carbon monoxide, as well as other harmful constituents. The installation instructions provided by each manufacturer must be followed meticulously. Unfortunately, this alone is not enough to ensure a properly operating, gastight system. In installing several diesel-fired heating systems, I have discovered defects in new exhaust components supplied by reputable manufacturers. These defects, if not corrected, would have allowed exhaust gases to leak into the vessel’s engineering spaces and eventually into the accom­mo­da­tion area. 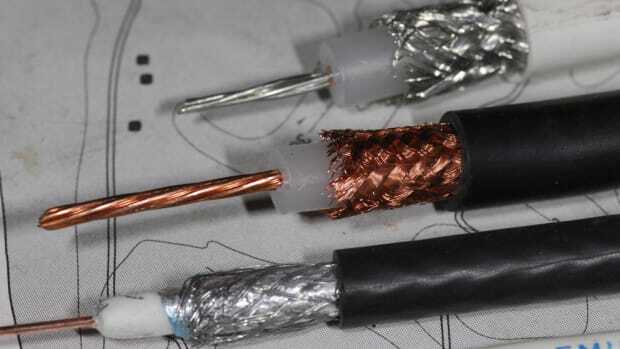 For this reason, the installer of your system must be fully familiar with the components and possess the requisite attention to detail to notice flaws—or potential flaws—in this equipment. The exhaust gases produced by diesel-fired heaters are, as one might suspect, quite hot. 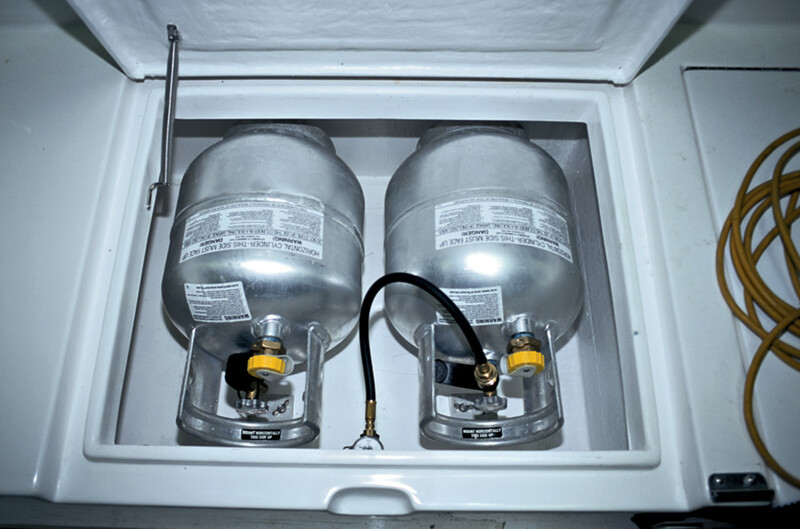 Forced air and hydronic systems typically require the installation of an “exhaust pipe,” a tube or conduit that safely carries these 700- to 800-degree Fahrenheit gases from the furnace to the exterior of the boat. These exhaust pipes or tubes are often made of flexible yet gastight stainless-steel tubing that is wrapped, or “lagged,” with insulation. ABYC guidelines require that no exposed portion of any vessel heating system, diesel-fired or otherwise, exceed 180 degrees Fahrenheit when the system is operating at maximum output and the ambient compartment temperature is 77 degrees Fahrenheit. Under the guidelines, the insulated portion of the exhaust system is considered an “exposed portion” of the heating system. The exhaust port of forced-air or hydronic heating systems is typically installed in the vessel’s hull side or transom. If the system is operated while the vessel is dockside or rafted, as it invariably will be, you must take care to ensure that combustibles such as fenders, lines, docks, and other vessels are not overheated or burned by the exhaust gases. Transom outlets tend to be the safest, preventing the overheating of nearby objects as well as minimizing the likelihood of allowing exhaust gases to enter your cabin or that of a neighboring boat. Some heating systems use a highly desirable combined inlet and exhaust gas port, which draws inlet com­bustion air through the perimeter of the exhaust outlet, effectively cooling it in the process. While the metal port doesn’t get as hot, the gases still remain capable of causing damage or a fire. for the combustion process and, perhaps more importantly, cold air is not drawn into the vessel to displace the air that has been burned. Nearly all forced-air and hydronic heating systems are capable of being installed in this manner, and a number of bulkhead units offer this advantageous feature as well. It’s worth noting that if a forced-air or hydronic system uses cabin air for the combustion process, it must be considered non-sealed and therefore requires an oxygen-depletion sensor to make it ABYC compliant. Properly sizing your heating system will ensure that the system keeps the vessel warm under the conditions in which you use her. For self-regulating systems such as forced-air and hydronic, proper sizing will ensure that the cycling times—50 percent is desirable—are appropriate. (Bulkhead heaters are designed to run continuously, and they operate more efficiently at higher settings.) If a forced-air or hydronic system runs too infrequently, it may increase carbon accumulation and require more frequent maintenance. If it’s too small, a system will run continuously, which will also increase maintenance requirements. While manufacturers of individual systems typically provide their own guidelines for sizing their respective systems, a general rule of thumb does exist. For moderately cold operating environments (fall cruising in New England and late fall on the Chesapeake Bay, for instance) calculate the volume of the accommodation spaces within the vessel in cubic feet and then multiply by 12 to determine the Btu needed. For winter cruising, the multiplier will be 15 to 19. These figures will vary based on the design and insulating properties of a vessel—for instance, cored hulls have excellent inherent insulation—and the number of glass windows, ports, and hatches, all of which radiate heat more quickly than the hull or cabin structure. Regular readers of my articles and columns know my feelings on the subject of product support and service. Regardless of how well a product is designed or manufactured, if it is not well supported, it will represent a poor investment for the user. Check with the manufacturer of the product you intend to install before writing your check. Where are the service facilities? How easy or difficult is it to order parts? How much do commonly used parts cost, and are they likely to be back-ordered? How often will the unit require an overhaul? How easy is it to speak with a technical service representative for troubleshooting assistance—for you or your service yard? Does the unit you are interested in include self-diagnostic capabilities? (This is an especially valuable feature.) Are special tools or equipment required for service or diagnostics? Some of these questions can be answered objectively by the manufacturer or dealer. For others, you’ll have to poll existing owners or boatyards that service and install the equipment. Finally, place a call or send an email to the technical service department for the make of heater you are considering installing. Ask a few simple questions about the unit, its service, and operation. Is the responder polite and knowledgeable about the product? One manufacturer that I’ve dealt with off and on through the years would often say, when confronted with a seemingly unsolvable service or repair scenario, “Well, these systems are really designed for trucks and buses, not boats.” This, in spite of reams of advertising information to the contrary. While it may be true that a number of heating systems, along with numerous other shipboard products used on recreational vessels, were originally destined for the over-the-road market, it’s not the type of retort I expect to hear when seeking service or repair guidance. Diesel-fired marine heating systems can make the difference between a pleasurable, comfortable passagemaking experience and a cold, damp, miserable one. While your experience may—and hopefully will—differ from the one I had in Cabot Strait, chances are good that once you’ve installed one of these systems, you’ll feel warm and confident about it, inside and out. Steve D’Antonio is PMM’s Technical Editor and the VP of operations for Zimmerman Marine, a custom boatbuilder and full-service repair yard in Mathews, Virginia.